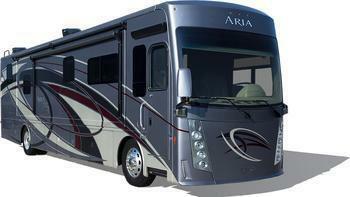 Thor Motor Coach (TMC) is recalling 175 model year 2017-2018 Thor Aria and model year 2017-2019 Thor Venetian motorhomes. The brake caliper mounting bolts on the vehicles may be insufficiently tightened, allowing the bolts to loosen. This could reduce braking performance, increasing the risk of a crash. TMC will notify owners, and authorized Daimler Trucks service centers will inspect the caliper mounting bolts and tighten them to the proper specification, free of charge. The manufacturer has not yet provided a notification schedule. Owners may contact TMC customer service at 1-877-855-2867. TMC's number for this recall is RC000159.